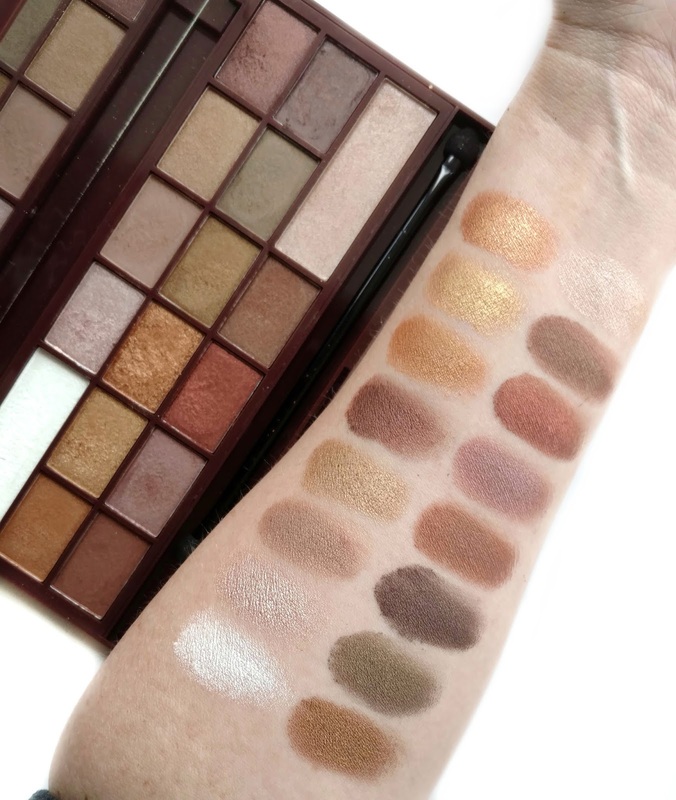 Makeup Revolution recently launched some of their Chocolate Bar Palettes at Ulta so I thought I would post a review and swatches of the three that I own and have been using for a while. I actually purchased the Death by Chocolate and Naked Chocolate palettes a while back from the Tam Beauty website in the UK, and then I picked up the Golden Bar palette from Ulta about a month ago. I'm assuming the two I purchased from the UK are the same palettes they're selling at Ulta, even though they've been rebranded (in the UK they're under the I Heart Makeup line, which is part of Makeup Revolution). These palettes appear to be inspired by the Too Faced Chocolate Bar Palettes and while I don't think the formula is comparable to high-end, it's certainly worth the $15 for 16 shades. The shimmer shades are super buttery, almost creamy, and highly pigmented. Some of them are very smooth while others have a bit of chunkier, flaky fallout. The matte shades are a little drier and dustier, but they blend well. I recommend using a primer to help them adhere to the eyes a little better and to prolong the wear of the eyeshadows. 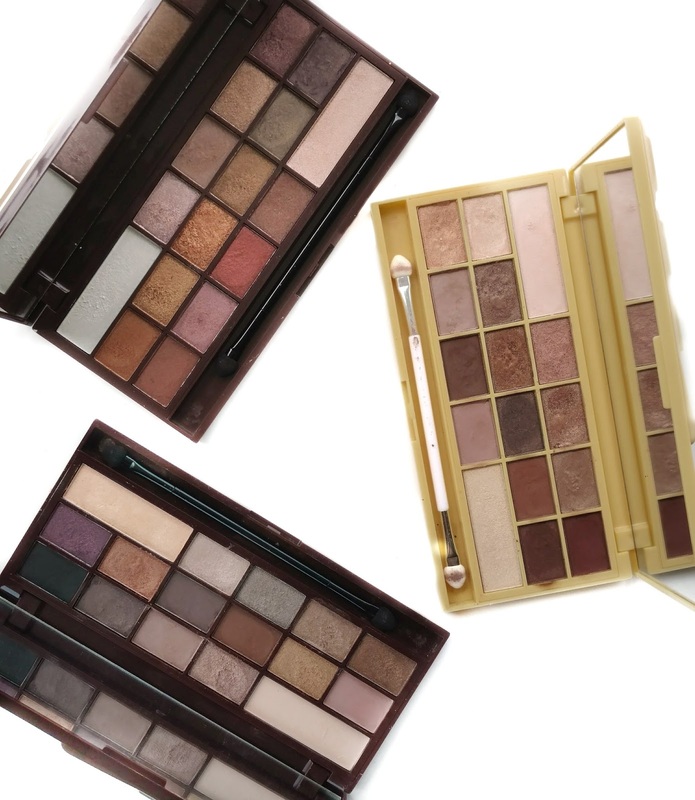 But overall, these are definitely better than your average drugstore palette in terms of the formula, the cute packaging and the high-quality mirror inside. I do wish they included a brush vs the sponge-tipped applicator but it's not really that big of a deal to me. This palette is filled with satin, shimmer, and metallic finishes in both warm and cool tones. The description on the Ulta website says that it has both matte and shimmer shades but I didn't find any mattes in this palette. Unfortunately, this means I usually have to dip into another palette when creating an eye look because I rarely do a full shimmery eye. That being said, the shimmers and metallics feel very buttery and creamy and the satiny shades go on very smooth and soft. 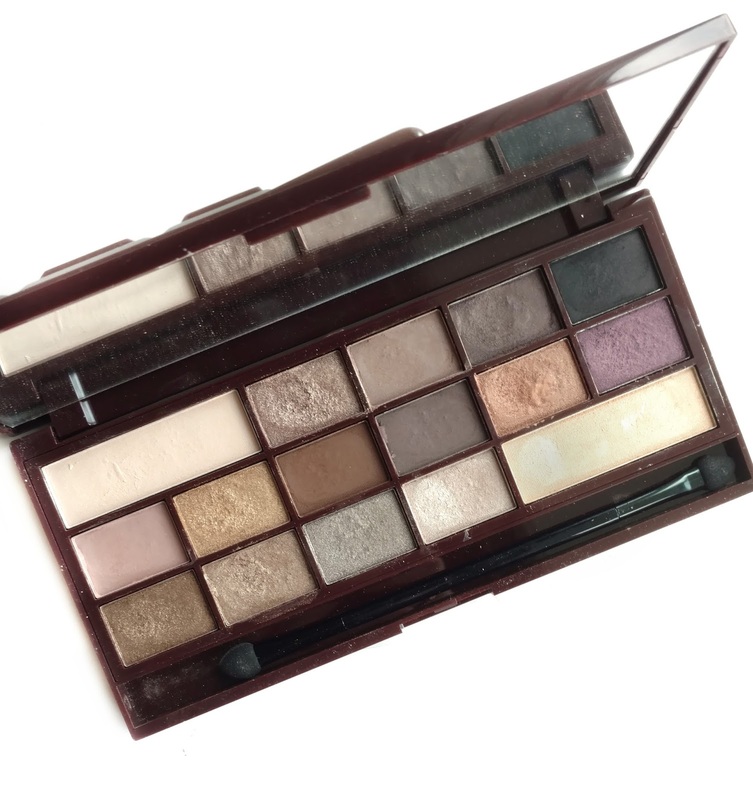 If you're looking for a cool-toned palette, this is a great option! It has a pretty color range that spans from lighter taupe, brown, and silver to smokier gray and plum shades. It also has a nice mix of matte and shimmer finishes. 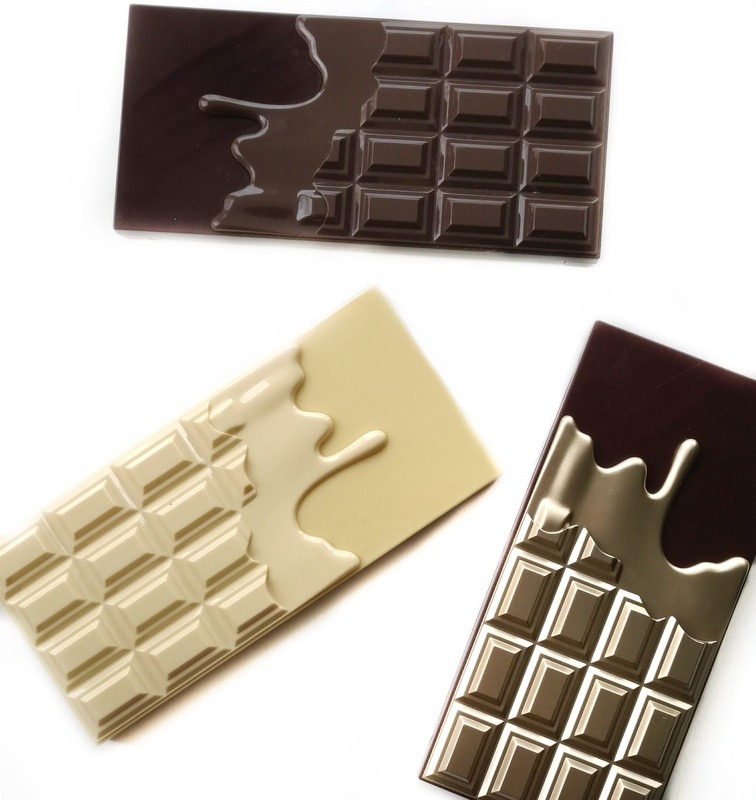 On the ulta website, there are some reviews that claim that this is a dupe for the Too Faced Chocolate Bar palette but it actually has a different color range. 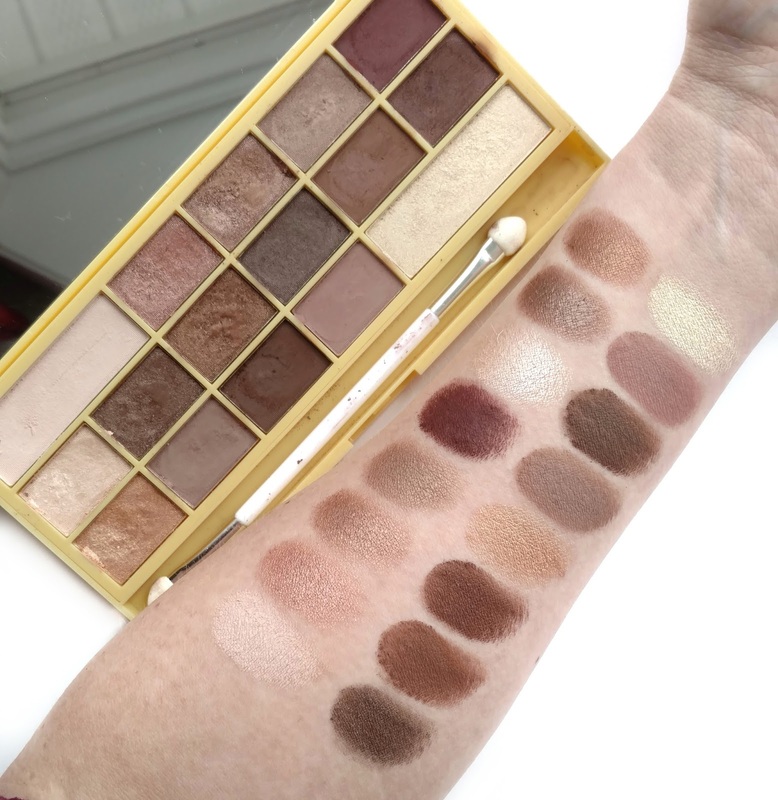 Makeup Revolution does have an almost exact dupe called I Heart Chocolate, but it's only available on their UK website (I did a review and comparison on my previous blog here). This one is my favorite of the three and the one I use the most. 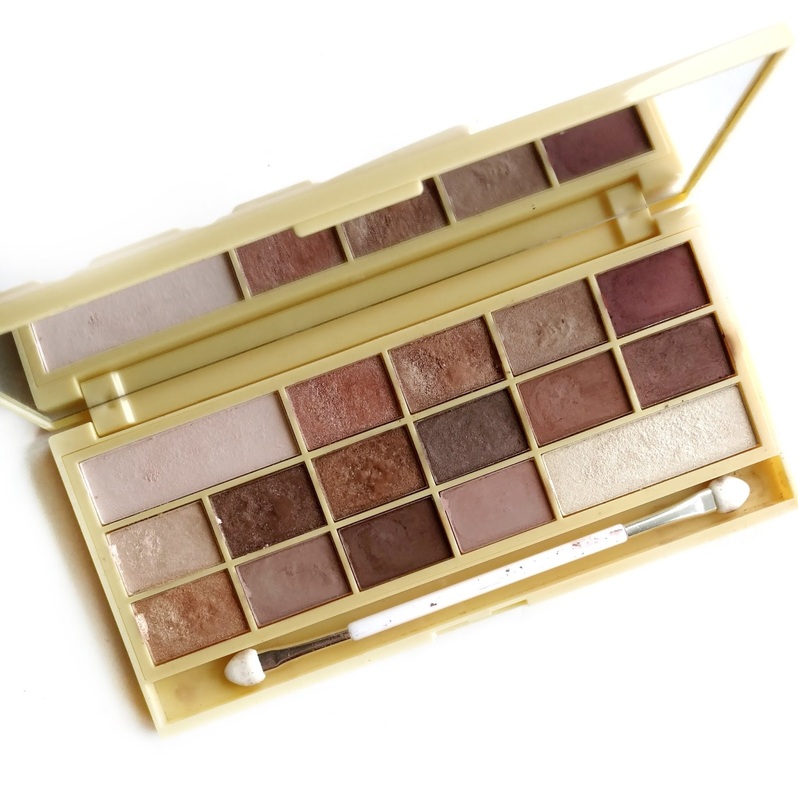 It has a beautiful range of rosy-toned neutrals in both matte and shimmer finishes. The color selection actually reminds me of the original Lorac Unzipped Palette with the rose gold, mauve, and bronzy shades. 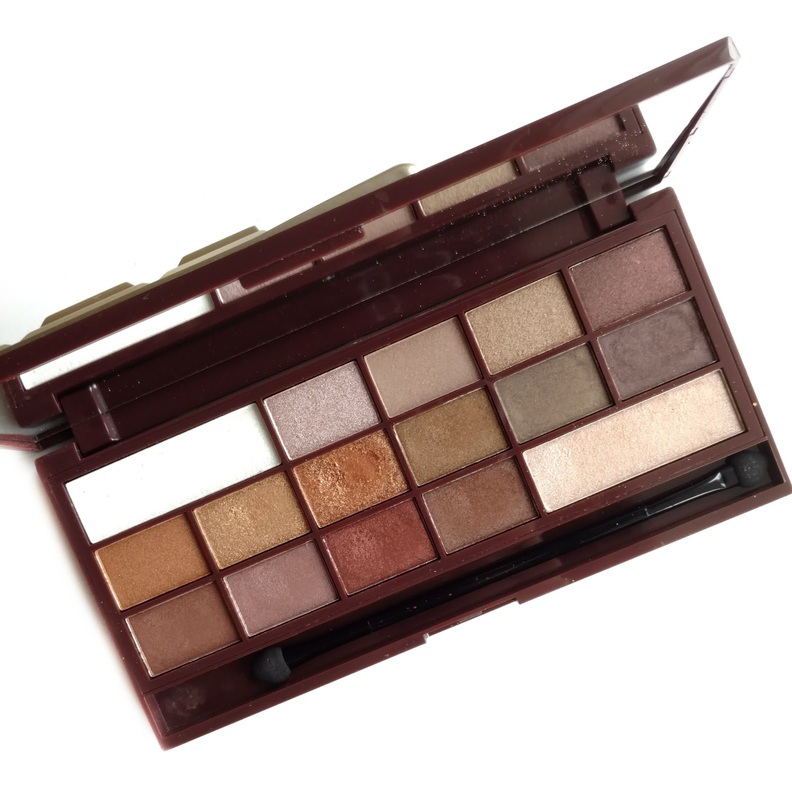 Overall, these are really fun palettes, especially for the price! As I said above, they aren't quite the same as a high-end palette in terms of pigmentation and blendability but they're better than other palettes at their price point. They're easy to work with and long-lasting if you use a primer, and the packaging is very sturdy and includes a high-quality mirror. Thank you SO MUCH for this review! I just noticed the other day that my local Ulta was carrying these three palettes but there were no testers to sample. Wow, all three look good but I think the third one is my favorite as well as yours. Wish Ulta would/could carry the Salted Caramel one. I agree with you completely, Jen, and I actually have to thank you for introducing me to the brand. I have all 9 Chocolate Bar palettes, all of which I purchased from the UK site; after purchasing one, I had to collect all of them! For the price point, they are fun to play with and perform better than the average drugstore eye shadow. 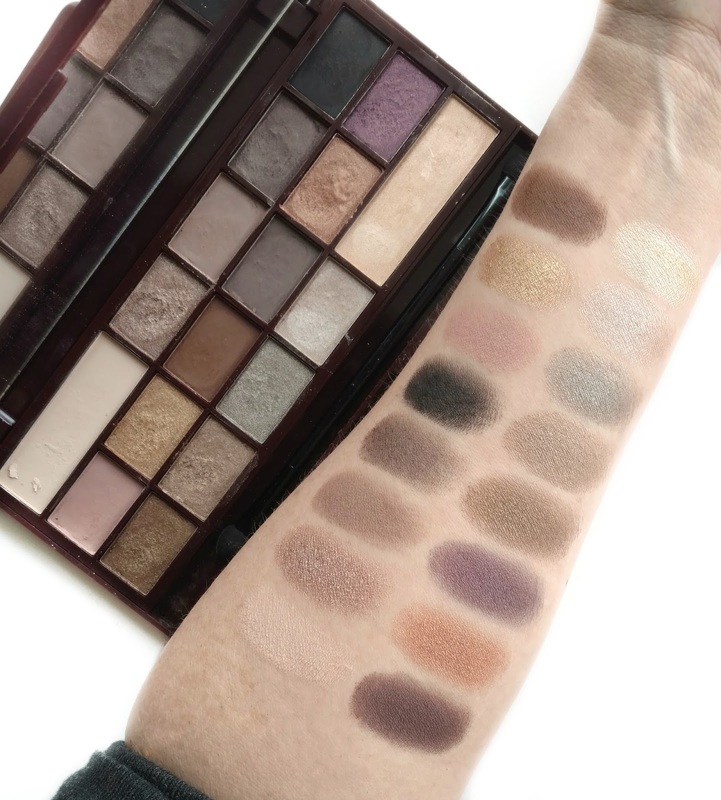 -- Christina D.
I have been dithering on the Naked Chocolate palette, so it's great to see these swatched. Thanks! On a related note, I was wondering if you are planning to migrate the "Holy Grail" section from your old site to here, or if that's now replaced by your "Favorites" category. I find both to be really helpful and interesting, but loved the easy reference of one Holy Grail post that I can return to often. Just curious! I love your blog! Sometimes it's nicer to read than watch videos of commentary. I find myself coming here daily. 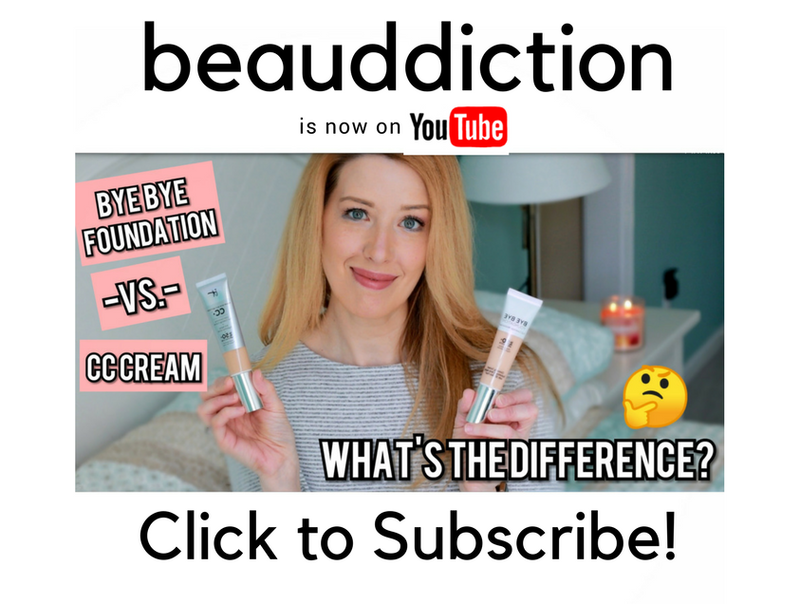 Makeup Revolution has some really good products. Packaging of these are adorable and for the price, these palettes are bargain. They are not as good as the high end ones, but you can't complain :) Naked chocolate palette is beautiful!